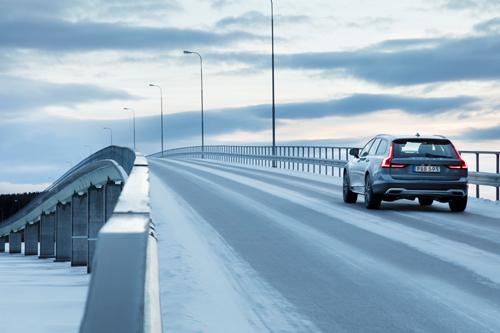 2017 – Volvo V90 Cross Country on Rödöbron between Rödön and Frösön near Åre-Östersund Airport in Jämtland Sweden. 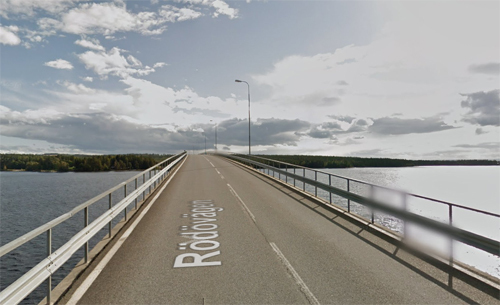 Rödöbron is a 677 meter long bridge over the Rödösundet (Storsjön) in Östersund, Jämtland. It connects the island of Frösön with the mainland Rödön, which is actually a peninsula. The bridge was opened in 1993 and was financed by the state and the business community in the immediate area. In addition to the state’s efforts, the financiers Väginvest AB, Jämtland County Insurance Company, Föreningssparbanken, Camfore AB, Persson Invest, Jämtfrakt AB, Å.R.E. 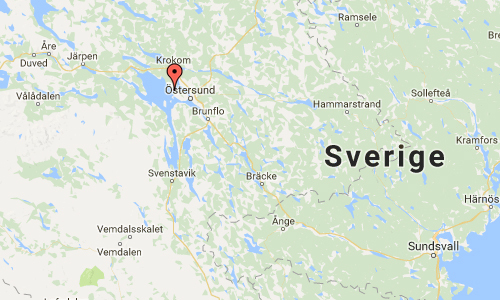 AB, Östersund, Krokoms and Åre municipalities. Together, these companies formed the company Rödöbron AB. 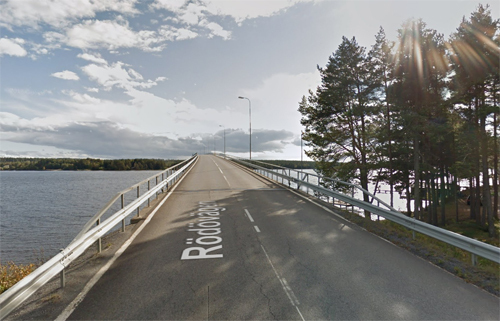 The funding of Rödöbron meant that it would be taxed for 20 years and this made it Sweden’s first charged bridge in modern times. When the tax, by a government decision, was abolished on January 1, 1999, it was still the only taxed bridge in Sweden. 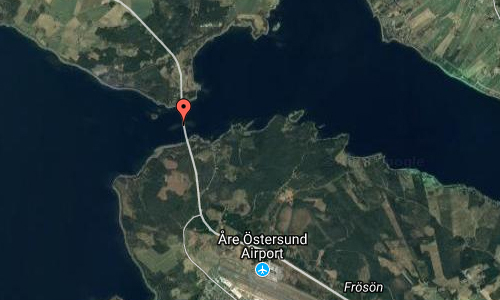 In addition to facilitating local communications, the bridge main advantage for tourism is to shorten the route between Åre Östersund Airport and the ski resorts to the west. More information at sv.wikipedia.org and visitostersund.se.